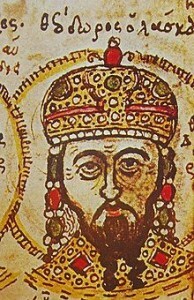 The Patriarchate of Constantinople at the request of the Holy Synod of the Church of Greece has canonized the last Trebizond emperor David I the Great Komnenos, who was beheaded in Constantinople by the Ottoman Turks together with his sons Basilios, Georgios, and Manuel, and his nephew Alexios on November 1, 1463, report the Romphea and Amen agencies. From 1431 to 1460 David was co-ruler with his brother and had the title of despot, in 1460-1461 being on the Trebizond throne. Five years after the Turks had seized Constantinople, in 1458, he had to accept vassalage of the empire of Trebizond from the Ottoman Sultan. Nevertheless, he did not lose hope in staving off the Ottoman threat and attempted to make a coalition with western European countries, Georgia, and the emirs of Sinop and Akkoyumlu. In August 1461, the Ottomans laid siege to Trebizond from the land and the sea. To avoid plunder and destruction of the city, David decided to surrender it without fighting. Together with his family, the Metropolitan, and courtiers, David was sent to Constantinople. According to the terms of capitulation, he received possession of a region in the Balkans, in the valley of the Strymon river. In 1463, he was accused by Mehmed II of treason (i.e. negotiations with his sister Theodora who was the wife of the Sultan’s enemy Emir Uzun Hasan) and executed in Constantinople together with his three sons and nephew. The Sultan had promised to grant life to David and his family should they adopt Islam but the latter answered that he would never renounce the Christian faith, and so he was martyred.